NEW YORK -- One in three teen-agers was able to buy cigarettes in a five-state sting operation, with the greatest rate of success in discount stores, according to a survey released Thursday. In the operation sponsored by attorneys general in Massachusetts, Minnesota, New Mexico, New York and Vermont, minors attempted a total of 1,405 cigarette purchases in the last five months and succeeded 463 times, a third of the time. The results were announced as the Food and Drug Administration is fighting efforts to halt regulations aimed at curtailing advertising and marketing of cigarettes to minors. 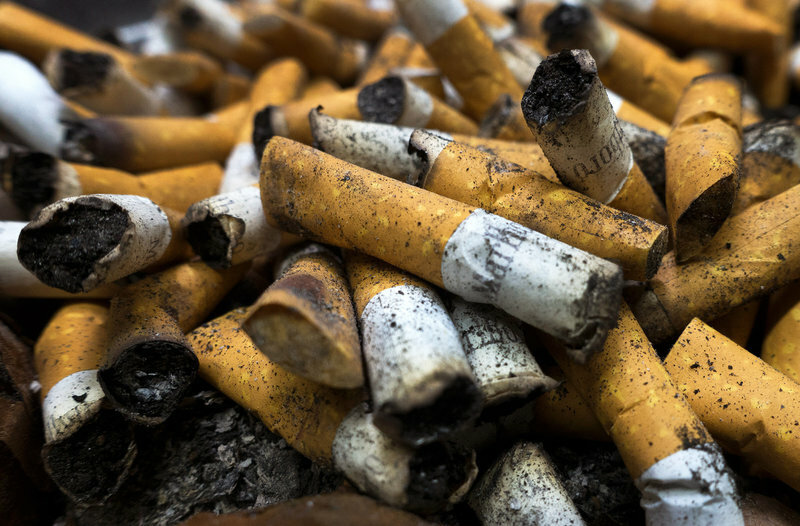 The tobacco industry has sued the FDA to stop the rules from going into effect. A court hearing is scheduled for February 1997. ``The sting results make it clear that we need aggressive involvement at the local level through community tobacco control programs and at the federal level through new FDA rules,'' said Massachusetts Attorney General Scott Harshbarger. Children had the easiest time buying cigarettes in discount stores, where they were successful 43 percent of the time. The rates of success in other stores were: gas stations, 36 percent; drug stores, 34 percent; convenience stores, 31 percent; grocery stores, 30 percent; and others, 28 percent. Although all 50 states prohibit the sale of cigarettes to minors, more than half a billion packs are sold illegally to children under 18. An estimated 3.1 million U.S. teens -- one in six -- are regular smokers, the attorneys general said. According to the survey, the children's rate of purchasing success varied from 52 percent in Massachusetts to 23 percent in Vermont. The rate was 35 percent In New York, 27 percent in New Mexico and 29 percent in Minnesota. Minors involved in the undercover operation volunteered with parental permission and attempted to buy cigarettes while accompanied by a state agent. Harshbarger said the youngest participant to purchase cigarettes in the Massachusetts sting was 13. The Massachusetts portion of the operation targeted communities without local tobacco control programs. The five attorneys general recommend that retailers require photo identification for tobacco purchasers under age 25, keep cigarettes behind the counter or in a locked case and use ''secret shoppers'' to monitor employee compliance and reward workers who comply. Sixten attorneys general, including those from Massachusetts and Minnesota, have sued the tobacco industry to recoup health care costs of smokers. New York City has taken a similar action.